Drinking while pregnant has been known to lead to miscarriage, stillbirth, and fetal alcohol spectrum disorders (FASDs) for the newborn. While babies do not die from FASDs, the psychological, behavioral, and physical effects from FASDs can create great difficulty for children as they grow older. These difficulties can negatively impact future success in their career and social life. The developing fetus is fragile to external stimuli, which can affect the fetus’s development, genes, and overall health. Almost anything the mother eats and drinks will be fed to the fetus through the umbilical cord. As a result, alcohol programs do not recommend any safe level of alcohol consumption while you are pregnant because there is no way to stop the alcohol you drink from traveling through your umbilical cord to the fetus and even a small amount could be hazardous. For anyone who is struggling with an alcohol addiction, abstaining from alcohol for the long duration of fetal development can be challenging and stressful, especially if the pregnancy was unplanned. Not only will you struggle with withdrawal and cravings from quitting alcohol, but you will also need to manage all the symptoms and struggles that come with pregnancy. If this is you, please do not hesitate to contact an alcohol recovery program that can offer the resources and support you need to overcome the ordeal of addiction during pregnancy. Many of these effects during pregnancy often make falling asleep difficult. Experiencing decent sleep each night is essential for maintaining mental health. Without adequate sleep, people start losing the energy, happiness, and motivation they felt when they were well-rested. 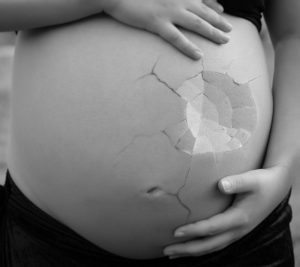 Drinking during pregnancy commonly leads to fetal alcohol spectrum disorders (FASDs) which defines a group of medical, behavioral, educational, and social problems that continue throughout the life of the child after birth. This includes facial deformities, growth delays, struggles in school, intellectual problems, poor judgement abilities, problems with sleep as a baby, behavior that is hyperactive, and trouble with memory or concentration. These adverse effects can make life challenging for anyone as they grow up and try to fit in with peers at school and work. Alcohol programs may be able to offer services to improve this situation, partly by teaching the mother effective parenting skills and coping skills for stress during child rearing since stress can trigger heavy alcohol use. Fetal alcohol effects are not as severe as fetal alcohol syndrome because the mother either did not drink a lot or the baby got lucky and dodged some of the negative effects of the alcohol. There are two types of fetal alcohol effects. Alcohol-Related Neurodevelopmental Disorder is when the child suffers poor school performance from learning disabilities, low impulse control, weak memory, and trouble with attention. Alcohol-Related Birth Defects describe deformities of the skeleton and organs. Fetal alcohol syndrome is the most severe case in FASDs and arises from heavy drinking during pregnancy. The effects of fetal alcohol syndrome include mental retardation, problems in the skeletal and organ systems, learning disabilities, and hearing problems. The child may be slower than the other kids and struggle with poor motor skills, memory problems, and delayed speech. There are also distinct facial features like smaller eyes, thin lips, and flat cheeks. While alcohol programs may not be able to offer a full cure for FASDs, they can provide early intervention treatments that can gradually influence the child’s development in a positive way. This means teaching the child skills and offering therapy to improve speech, walking, and social interaction abilities. The earlier intervention starts, the better chances your child has of a healthy development. Behavioral and education therapies are often used to increase math skills, self-regulation, and planning abilities. An addiction to alcohol can lead to painful withdrawal symptoms, some of which may become life-threatening. Seeking guidance from an alcohol recovery program is one of the safest approaches to quitting alcohol, especially if you just found out about your pregnancy. Attempting to quit alone is brave, but extraordinarily challenging without the social support, therapeutic services, and medications that alcohol centers can offer. Treatment for alcohol addiction usually starts with medically assisted detox, where mental health professionals work with you to manage withdrawal symptoms, sometimes with medications that can alleviate unpleasant symptoms. Then behavioral therapies are implemented to help you learn skills to avoid relapse in the future. You will also be taught coping skills for dealing with stress and cravings to use again. Support groups are offered to help you maintain abstinence even after treatment ends. At the Recover, we do not know firsthand what it is like to deal with an addiction to alcohol, which is why we offer resources to those who are struggling with an addiction instead of judgment. The withdrawal symptoms of alcohol can be so severe that you may feel that quitting is impossible or not worth it anymore. Do not lose hope. Studies show that outside assistance can improve your chances of overcoming addiction because social support groups provide motivation and therapeutic approaches that rewire your brain to break addictive habits. The Recover is an unbiased substance abuse and mental health news provider that provides the public with information about alcohol and drug addictions. We also offer information about West Virginia centers for addiction treatment and recovery. If you are struggling with an addiction to alcohol, then feel free to contact us at (888) 510-3898 to talk with a treatment specialist who can answer any questions you may have and who will help you find the right alcohol recovery program that fits your needs.